this is all my cats eat! My girls love me even more now! Gravy Lovers is the best food that my cat's love. My cat Sissy loves the Chicken Feast!!!! 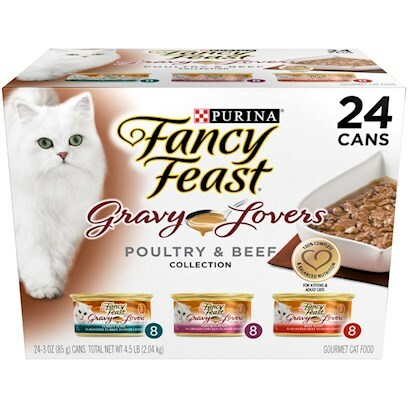 My cat's LOVE Fancy Feast!! Something that my kitties love to eat. who wants a fancy feast?! Sally has only the best! Always eaten and the plate cleaned. Good value, good ingredients . Gravy Lovers Chicken Feast In Grilled Chicken Flavor Gravy! We have 4 cats. they love the variety of all the flavors. Both my cats absolutely loved it! Silver, Freckles and Sissy love the roasted turkey and gravy the best!! Hey Momma,can ya hurry servin' it up?...Hey bro?Ya' gonna finish that?